Developing curriculum(s) requires instructors to take into several factors. These factors can be viewed as critical components of curriculum development for career and technical education (CTE) instructors. Without adequately addressing critical components such as curriculum history, curriculum theory, curriculum philosophies, curriculum processes, curriculum implementation and evaluation, CTE instructors will fail to develop sound/meaningful curriculum(s). This article attempts to discuss those critical components in order to help instructors in the field. As curriculum development in the United States is characterized by both centralization and decentralization, it is essential that CTE instructors should be equipped with necessary skills, knowledge and attitudes to develop practical curriculum(s) that they can use to benefit their own teaching. 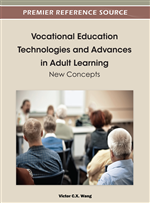 Career and technical education is about preparing people, young and old, for the world of work. Those who seek a teaching credential in CTE plan to teach their own occupational skills to younger generations of learners. Naturally, learning to develop a sound and meaningful curriculum will be the very first step towards securing a teaching credential. A teaching credential will equip those aspiring instructors with skills and knowledge to teach others in the field. However, given their prior occupational experience, those with occupational knowledge, skills and attitudes may not be necessarily successful instructors in CTE. As noted by Mager (1997), “though it is a remarkable accomplishment to have developed the skills and knowledge needed to be considered competent in one’s craft, those skills are not the same as those needed for teaching that craft” (p. vii). He further analyzes that “just as an ability to make a tuba is not the same as an ability to play one, an ability to play one is not the same as an ability to teach someone else to do likewise” (p. vii). In order to teach others (pedagogical mode of instruction) or to help others learn (andragogical mode of instruction) (Knowles, Holton, & Swanson, 2005), a critical success factor is to learn to develop a sound and meaningful curriculum. Without a curriculum, what would we expect those with teaching credentials in CTE to teach or to help others learn in the field? As a common Chinese proverb goes, without rice, even the cleverest housewife cannot cook (Yuan, 2007; as cited in Wang, 2008, 2009, p. 1). Similarly, Westerners posited that knowledge of curriculum is, by definition, central to the professional teacher and an essential orientation for all professional responsible beginners (as cited in Print, 1993, p. 1). The special characteristics of CTE education require curriculum developers to follow as many models as possible to design sound and meaningful curricula. Simply putting together instructional materials would violate instructional design that must be aimed at aiding the process of learning rather than the process of teaching (Gagne, Wager, Golas, & Keller, 2005). Indeed, a curriculum is aimed at “intentional” learning as opposed to “incidental” learning. The target goals and desired learning outcomes guide the design and selection of learning activities (Gagne et at., 2005). Gagne (1985) defines learning as a process that leads to a change in a learner’s disposition and capabilities that can be reflected in behavior; curriculum development must aid this process so that students can acquire skills valued in the world of work by studying the sound and meaningful curricula created and taught by professional teachers with prior occupational skills and knowledge. This article will shed light on relevant information from curriculum history, curriculum theory, philosophies of curriculum development, curriculum processes to curriculum implementation and evaluation so that those who seek a teaching a teaching credential in CTE will have enough confidence to blend curriculum development with their prior occupational knowledge and skills. With adequate coverage of these essential aspects, teachers of CTE will be able to develop sound and meaningful curricula that will bear the basic needed characteristics.